Spring berries like blueberries, strawberries, raspberries and blackberries are favorites at the seasonal kitchen table. Each variety has its own unique benefits, such as fiber, antioxidants, vitamins and minerals, which is evident in the berries’ vibrant array of colors. At fewer than 100 calories per cup, these juicy fruits pack sweet flavor that can be incorporated into almost any meal, snack and even savory dishes. Start your morning right with this oatmeal recipe which can be made in advance and reheated for a healthful breakfast even on your busiest days. 1. Preheat oven to 375° and coat an 8-inch baking dish with cooking spray. 2. In a large bowl, combine the oats, flax, baking powder and spices. 3. In another bowl, whisk the milk, egg, vanilla and syrup. Add the mashed banana and applesauce. 4. Stir the milk mixture into the oat mixture and combine. Mix in the nuts and 1 cup berries. 5. Pour the mixture into the prepared pan. Top with remaining berries, pressing them into the oats. 6. Bake for 30-45 minutes until lightly browned and oat mixture is set. 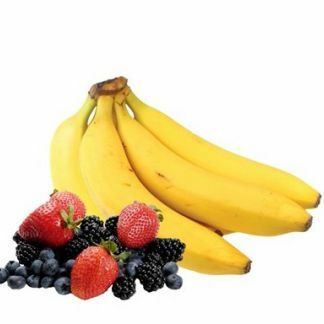 Serve with additional berries and bananas, a touch of low-fat milk or plain yogurt. Heat leftovers for a ready-to-go breakfast. Make a parfait for breakfast or a snack by layering ½ - 1 cup low-fat, plain yogurt, cinnamon, berries and a whole-grain cereal or 2 tbsp. of nuts. Add berries to healthful baked goods like whole-wheat bread, muffins or pancakes. Simmer on the stove as a topping for pancakes, whole-wheat waffles or French toast. Toss berries with spinach, a little feta or goat cheese and a light vinaigrette. Top with baked chicken or salmon for a complete meal. Toss strawberries with a touch of balsamic vinegar for a unique snack or dessert. Add to homemade salsa and use as a topping for grilled fish or lean meat. Blend berries with low-fat milk or yogurt, ice, additional fruit or even greens for a refreshing smoothie.